You can see Obenauf’s and Chamberlain’s leather conditions in action. There are a lot of options in leather conditioning but Lexol is very good at a very good price. The reason you should condition your leather is because leather is made of microscopic strands of fibers that rub on each other. If the leather is dry then the strands will literally cut each other, If the leather is lubricated then the strands can flex without damage. Old organs have leather bellows and many quality leather bellows still function perfectly after 100 years of proper conditioning. 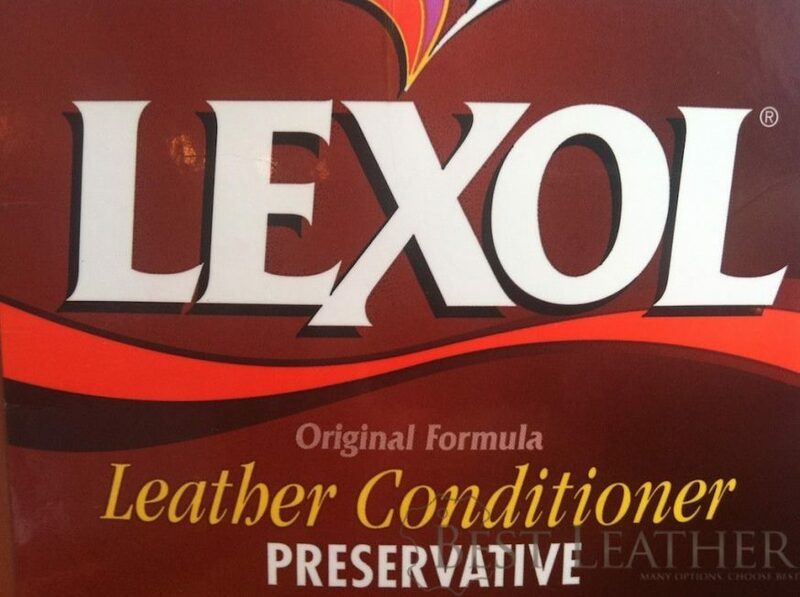 Lexol Leather Conditioner is made purely from emulsified tanning oils. Those most common source of emulsified tanning oil is animals brains, literally. Lexol won’t say what their conditioner is made from so you draw your own conclusions. The method of application is simple, one dry washcloth with a dab of leather conditioner until the conditioner runs out. For some wax based conditioners it is important to heat the leather to ensure the wax melts and saturates the leather, this is not necessary with the Lexol Leather Conditioner as the liquid soaks into the leather nicely at room temperature. Below you will see the process of taking leather in rough shape and restoring it as much as possible. 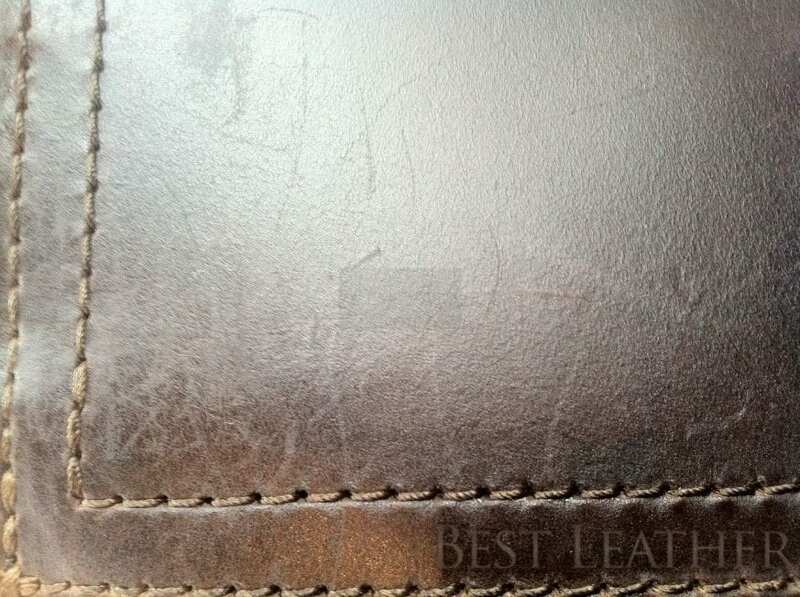 There are also pictures of scratches in full grain leather that have been treated with Lexol Leather Conditioner. Here we have a desperately dry pair of Ariat Boots. They have not been conditioned in quite a while and have developed severe cracking. Above you see the difference between unconditioned and conditioned leather. 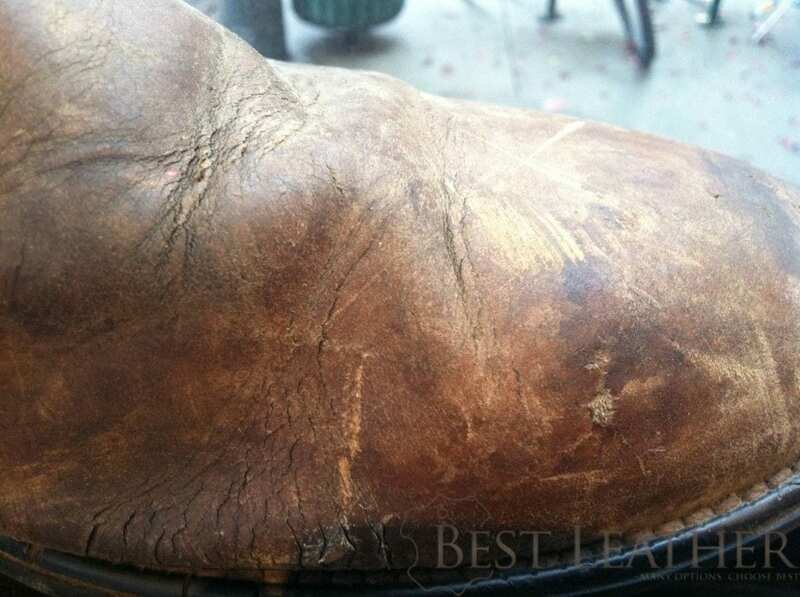 It took 6 minutes to completely treat one boot as the leather was very thirsty. The boot took approximately 20 doses of conditioner. 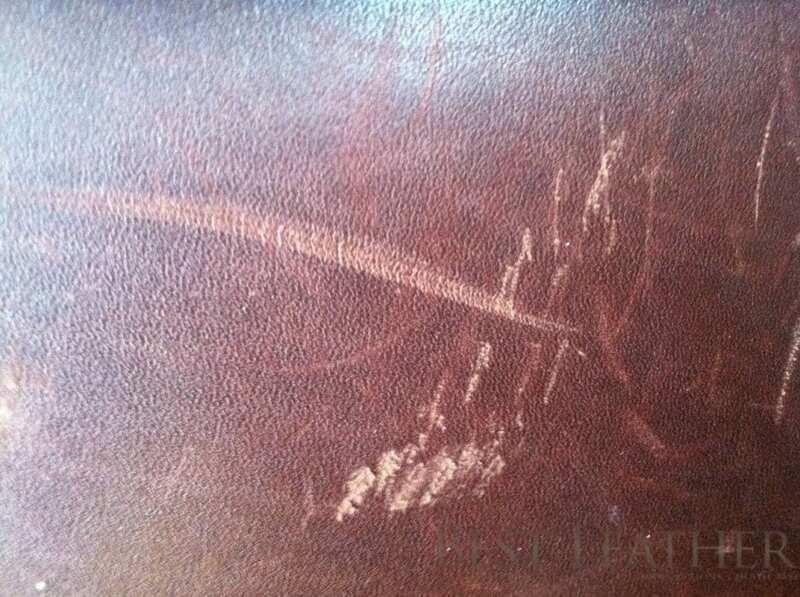 These are light scratches in full grain chestnut leather. The best color. Here are the same light scratches after the Lexol Leather Conditioner has been applied. From a distance the leather has a nice sheen after application which fades as the conditioner dries. The conditioner slightly darkens the leather temporarily as well. The texture change of the scuff remains but the scuffed leather acquires a more lubricated look. The sheen fades as the conditioner dries without leaving a greasy residue. This scuff easily came out with one application of Lexol Conditioner. As you can see, the scuff is nearly gone. This Chestnut Backpack looks dramatically better after the top was conditioned. 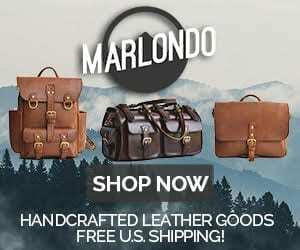 With high quality leather you should not have to condition it often, however, it will last longer if you do and the patina that develops with worn but conditioned leather is beautiful. The basic rule is when your leather is dry, changes in leather’s color, is exposed to significant sun, gets wet, then condition your leather. The larger bottles of Lexol are far better value and quite a while. The one liter bottle will last you many applications. Lexol is a fantastic value leather conditioner at $12 a liter as opposed to the normal $20 from the competition. Buy one liter here on Amazon for ~$12. 13 Comments on "Lexol Leather Conditioner Review"